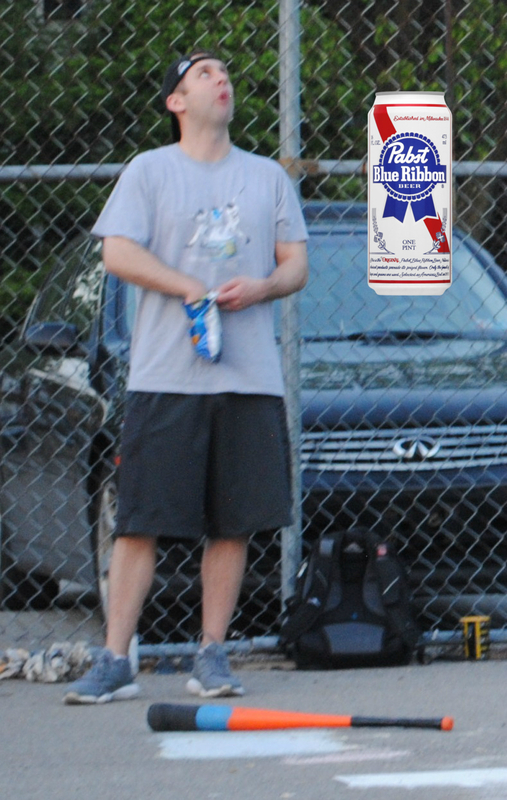 Players and fans voted Mike of Loss Mitigation the week 1 PBR Wiffler of the Week. 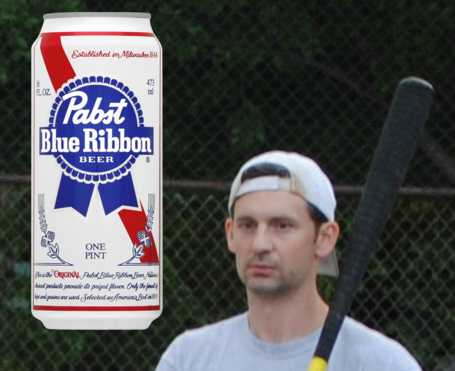 After winning the 2017 batting title, finishing runner-up in regular season MVP voting, winning the Wiffle Series, and being named Wiffle Series MVP, Mike started the 2018 season on fire. He went 8-for-10 and turned in the finest offensive performance of week 1. He had five extra-base hits, including three homers, and sat atop the League Leaders for most offensive categories. He also provided elite level defense for Loss Mitigation, as has come to be expected from the perennial Field Master. It looks as if Mike is already on his way to another MVP-caliber season in 2018. This is the 8th time he has earned Wiffler of the Week honors in his career. 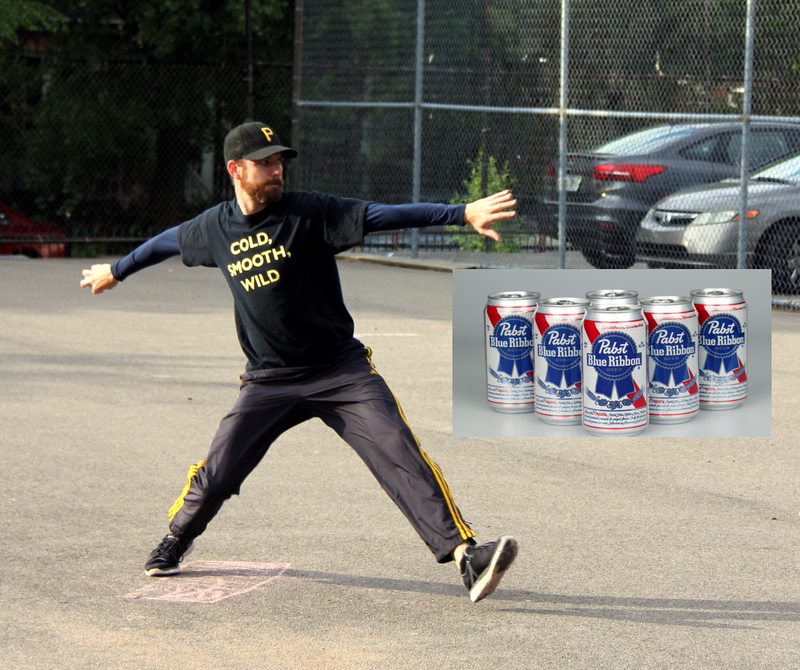 Mike was named PBR Wiffler of the Week twice in 2017, once in 2015, and four times in 2013. 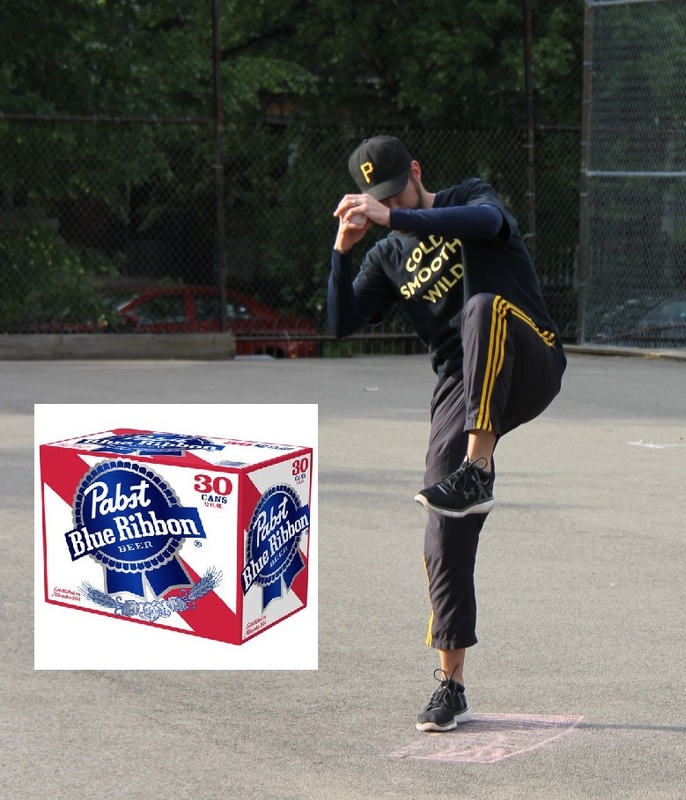 Each week throughout the EWL season, the players and fans of the EWL vote for the Pabst Blue Ribbon Wiffler of the Week. The honor goes to the wiffler who was the most valuable during the two games his team played that particular week. Pictured here are some of the winners from the 2016 regular season and postseason. From left to right; Blose of Cookies & Cream, Joey of Cookies & Cream, Guthrie of Cookies & Cream, Bob of Questionable Outfit, and Josh of the Ham Slams. 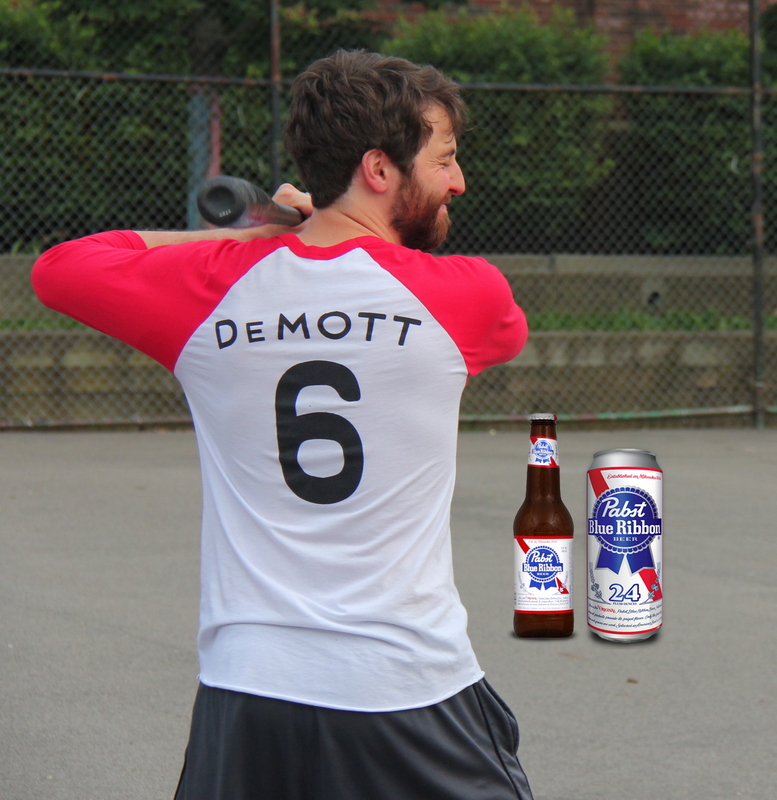 Wifflers of the Week that were not present for the Wiffle ceremony include Tom of Questionable Outfit and Joe of the Ham Slams. Wifflers of the Week are awarded a warm 12 oz. 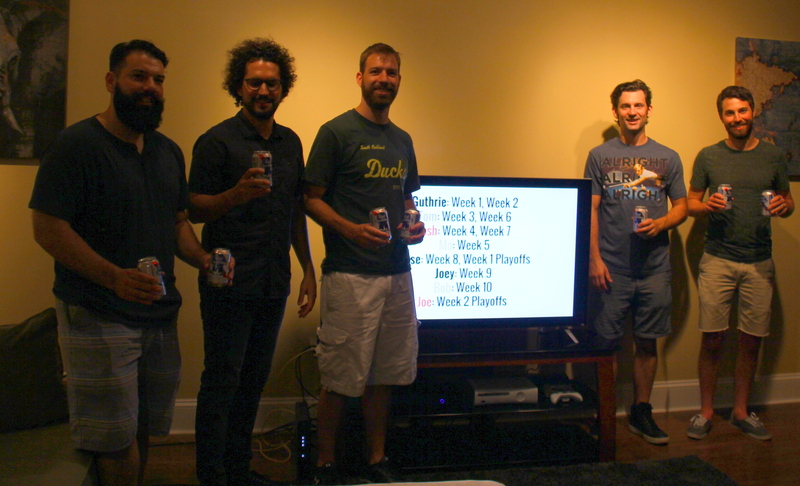 can of Pabst for each week that they were selected.